Last week, you heard from Neal Mohan at DoubleClick Insights talk about how the digital ad ecosystem is rapidly evolving. 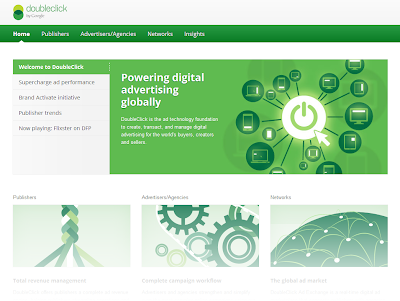 To help digital marketers keep up with the latest insights and updates from DoubleClick, we've given the DoubleClick website a refresh. We've reorganized the site to do a better job of surfacing the latest DoubleClick news and added a dash of visual style in the process. What else changed with the new design? In addition to becoming a destination to discover the latest news and insights from DoubleClick, the site is gateway for you to explore and learn about DoubleClick’s digital technology solutions. We’ve reorganized the site to make it easier for you to discover and learn about the solutions that best meet your business objectives. As part of a Google-wide effort to bring you an experience that’s more focused, elastic, and effortless across all of our products and websites, the new site underwent a thorough usability review to help strip out unnecessary clutter in order to make finding the information you’re looking for as easy as possible. We know first hand that users browse the web across multiple-screens and devices. The new site offers a consistent and seamless experience whether you’re visiting from your desktop, mobile, or tablet device. We hope you like the new site and find it useful, and invite you to have a look around.